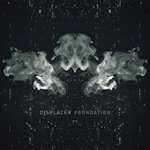 It’s nice to see Mile Morton on a roll with his Displacer project; it seems like barely two minutes have gone by since the fantastic ‘Night Gallery’ graced my Hi Fi and now we have ‘Foundation’ released on his new home at the well-respected Hymen label. Opener ‘Dark Star’ is the epitome of the perfect intro; gradual washes of electronics and understated beats to waken the listener gradually and ease into the low tempo ‘The Waiting Place’. It would be lazy of me to draw reference from other acts this first track proper brings to mind, but it’s impossible not to. Imagine the more laid-back ambient and Koto pathways of Bitcrush frequently nibbled at with scratching percussion-like elements and you will be somewhat close. ‘Totality’ fuses my first impressions but broadens the horizon somewhat; fuzz guitar separating the concoction further, yet evident that this is first and foremost a pure chill out album, once the blissful ‘Red Sky’ climaxes. What I love with this latest release is the blend of opposing forces at play; Mike has once again gelled the medium of dark and light without ever heading into grey territory. There is a clarity and purity to this latest piece of work that manages to hold warmth on the emotional front whilst still remaining mechanical electronically, as the excellent ‘Distress Call’ and minutely raucous ‘Spare Parts’ will attest to. ‘Foundation’ is one of those albums that will have many an alternative electronics fan chomping at the bit and one where Mike Morton has come into his own. Yes there are comparisons to many throughout, with nods at Gridlock on ‘We’ll Watch it Burn’ and footnotes that remind me of what has come before genre wise, but Displacer 2012 truly has something that cannot be taken away from him as a force in its own right; that he has joined his peers in being one of those artists that will inspire creativity in others moving forward. This entry was posted in Hymen Records. Bookmark the permalink.